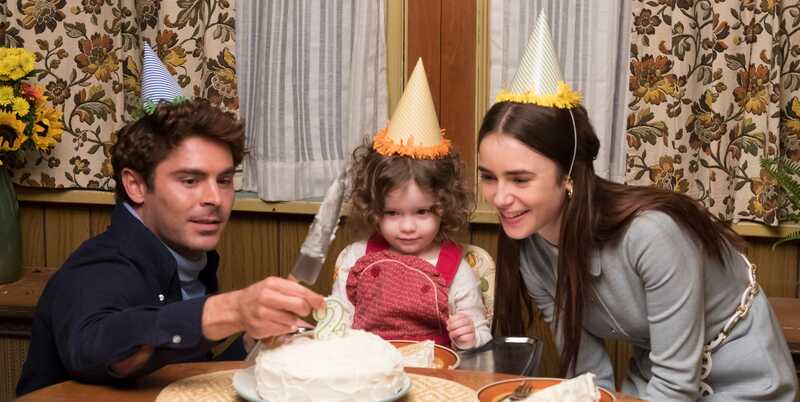 Zac Efron, Macie Carmosino and Lily Collins in "Extremely Wicked, Shockingly Evil and Vile," directed by Joe Berlinger. Courtesy of Sundance Institute. Zac Efron and Lily Collins take the lead in “Extremely Wicked, Shockingly Evil and Vile,” a highly anticipated film premiering at the 2019 Sundance Film Festival chronicling the life and crimes of the notorious serial killer Ted Bundy. 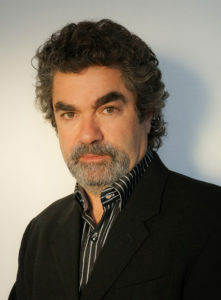 Filmmaker Joe Berlinger is known for his true crime documentaries. Berlinger’s docu-series about Ted Bundy “Conversations With a Killer: The Ted Bundy Tapes” was released on Netflix a week prior to the “Extremely Wicked” premiere at Sundance. “Extremely Wicked” is Berlinger’s first try at a fictionalized version of true events. His career history shows through as “Extremely Wicked” often toeing the line between film and documentary. Footage from the trial as the credits roll reveals the word-for-word nature of many scenes in the film, adding a chilling note to the serial killer biopic. Joe Berlinger, director of “Extremely Wicked, Shockingly Evil and Vile.” Courtesy of Sundance Institute. Rather than telling Ted Bundy’s life story, the film instead explores Bundy’s (Efron) psychopathy through the eyes of his longtime girlfriend Elizabeth “Liz” Kloepfer (Collins). From meeting Kloepfer for the first time to the day of his execution, “Extremely Wicked” shows Bundy’s adamant declaration of innocence up through his conviction and almost until his death. Ted Bundy eventually confessed to 30 homicides, committed in seven states from 1974 to 1978. The actual number of Bundy’s victims remains a mystery. He was executed in Florida on Jan. 24, 1989. “Extremely Wicked” works around the terror of Bundy’s actions and instead focuses on the terror of living with a monster. Kloepfer’s discovery, denial and acceptance of Bundy’s crimes are at the forefront of the film’s narrative. Her story allows people to see how Bundy manipulated and seduced everyone around him. Cleverly crafted scenes provoke the audience to chuckle and at times even root for Bundy, a side effect of seeing him the way Kloepfer did. The trailer, which dropped just days before the film’s premiere at Sundance, raised concerns over how much the film would glorify Bundy while dismissing his victims. While the film does seem to show Bundy in a positive light at times, it is only in the way that Kloepfer saw Bundy. Many women saw Bundy as smart, handsome and seductive. Complete strangers attended Bundy’s trial, expressing doubt about his guilt. Many women couldn’t believe someone so charming could commit such heinous acts. Efron’s spookily spot-on portrayal of Bundy borders on celebrity, but only because Bundy’s persona bordered on celebrity. While the portrayal of Bundy’s charisma and charm make him likable and even seem worthy of compassion at times, the film in no way glorifies him or his actions. The audience is never allowed to forget who Bundy is under his façade of an innocent University of Utah law student. Home videos of Bundy celebrating birthdays with Kloepfer and her daughter are juxtaposed with scenes of Bundy caught and questioned by police. Initially, tender moments are accompanied with too long looks from Bundy or with a casually brandished knife. Instead of being laced with Bundy’s gratuitous violence, the film omits excessively graphic reenactments of Bundy’s crimes. Even descriptions of some of Bundy’s most gruesome acts are limited and saved until the end as a bone-chilling reminder that the persona Bundy puts on is covering up wicked, evil and vile deeds. Capping the film’s conclusion is a card listing the names of Bundy’s known victims. The film leaves a once-chuckling audience silent, trying to process the true villainy of a man like Bundy. When it comes down to it, yes, “Extremely Wicked” does humanize Bundy in many ways. But the film is really about Liz Kloepfer, not Bundy. To Kloepfer, Bundy was human. They shared a home, he helped her raise her daughter and they were almost married. Berlinger shows Bundy through one of the only surviving victims of Bundy’s psychopathic seduction. While Kloepfer’s perspective allows the audience to humanize Bundy, it also allows the audience to accept his guilt and to find Bundy as terrifying and repulsive.